Having two young girls that love to craft and create, I always find it a bit of a challenge finding art projects for them that are easy enough that they can work independently a little, projects that use materials we have on hand without having to run to the store, and turn out cute enough for them to proudly display and use. In fact, I subscribed for a long time to a craft box that came monthly just because I became frustrated in trying to come up with projects, materials, etc. myself. So when I read that my friend, Katrina, had written a book that was all about awesome art projects for kids, I was so excited. Not only because I was so happy for her, but I knew the book would be amazing and might just fulfill my criteria for art projects with my girls. I first met Katrina in New York City. She was a fellow winner of the Country Living Magazine Blue Ribbon Blogger Award (in the crafting category) and in the little time I spent with her, I came to know her as very kind, very genuine and very creative. I thoroughly enjoyed getting to visit and spend a little time with her, and since then, I've faithfully followed her beautiful blog and feel like I know her even better now. What I didn't expect to happen when I received the book is that I would become so inspired. I knew it would be beautiful and I knew after reading her blog for so long that her projects would be fun and sweet. 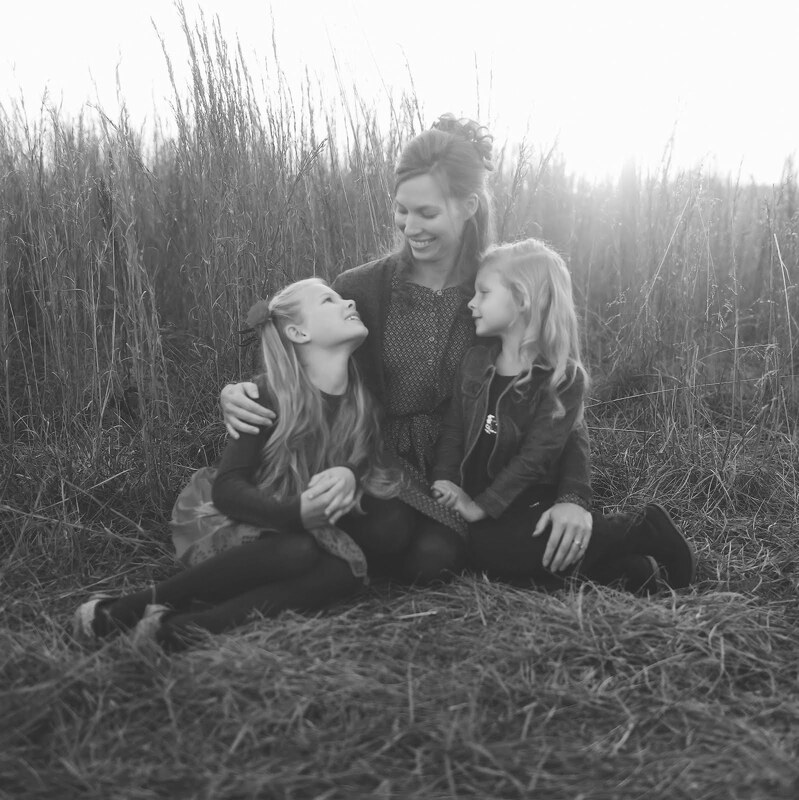 But I became so inspired to create with my girls, inspired to use materials we have laying around (like cardboard boxes and junk mail), and inspired to make art accessible to my girls. So much so that I cancelled my craft box subscription, and fully intend to carve out a special "creative space" for my girls as soon as our upstairs/bathroom renovation is complete so that they can create whenever they like. I've started saving little things, like certain cardboard boxes and paper scraps. What I love about this book is that so many of the projects rely on recycled or up-cycled materials. It makes crafting and art so accessible and enjoyable. "In creating this book I have three goals in mind: to foster inspiration, to make art accessible, and to encourage adults and children to see the creative potential in castoff materials. I want you to feel as if you have permission. I want you to feel as if you have full access. And I want you to feel inspired! These projects are not meant to be created perfectly without a wrinkle, dent, or other “imperfection.” They are not meant to be replicated exactly or with great precision. Instead, they are meant to be used as a starting point. 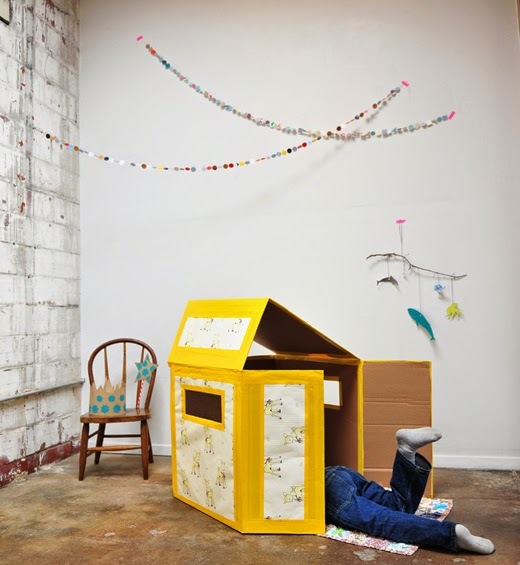 As an entryway into making art projects using paper, boxes, and books. They are meant to be enjoyed by children and adults alike." The book is filled with projects, many using materials that you would likely already have on hand. For each project there are gorgeous photos, including step-by-step photos (a must for me) and a photo of materials. Along with step-by-step photos, there are also step-by-step instructions. I love that this gave us the confidence to follow along at first and then branch out a little on our own as inspiration struck. There are so many unique projects, including an Airstream trailer, a dollhouse, handmade books, mobiles, masks, and even a classic lemonade stand. I honestly feel like the projects in this book are meant for all ages. There are some projects that worked great for my younger girls. Even Rosetta, who is just 3 1/2, was able to participate hands-on, like making this paper crown. She felt like she made it entirely by herself. There are also some projects that require a little more assistance from an adult, depending on the age of your child, like the VW bus pictured below. Some of the projects are so cute I would make them myself to display, such as paper garlands. This VW bus was a project that Jillian wanted to do so badly. Justus actually did this project with her (so sweet) and I love how it turned out. She added a few of her own little touches and has it on display in her bedroom. Who knew that a milk box and duct tape could look so cute! Another fun project was making these crowns and wands. This is a great example of using the template and step-by-step instructions in the book to make the project, but then letting your children use their imagination and creativity to decorate as they like. I can even envision making these at a birthday party! Also, Katrina is kindly giving away a copy of her book to one Keeping It Cozy reader! I'm so excited! This giveaway is now closed. The randomly selected winner was Debby! All you need to do is leave a comment in this post and I will choose a winner one week from today, next Wednesday, March 4, 2015. You do not need to have a blog to enter, just be sure to leave your email address so I have a way of contacting you should you win! 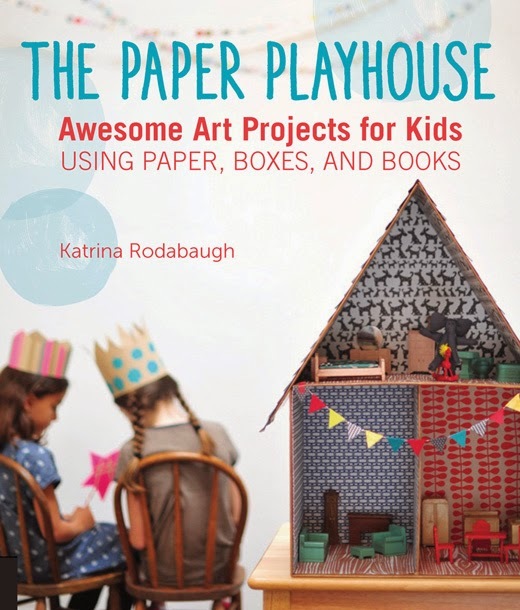 You can find The Paper Playhouse on Amazon, Barnes&Noble, or Quarry's book shop. One of my very favorite purchases, this large old cupboard that we use for a pantry likely received a quick coat of white paint before being put for sale and I had never done a thing to change it since I brought it home several years ago. A couple years ago I had given the interior door a little makeover (here) with Annie Sloan Paris Grey chalk paint, and loved it so much I decided to try painting the entire cupboard the same color. I opted to use the chalk paint versus latex paint because I wanted to preserve the original character of this cupboard, imperfections and all. After I painted the cupboard, I distressed it a little and then used clear wax. I also had fun rearranging the shelves on our wood cabinet. For a while now I've had more practical things stored here, but I was ready to get my shelves pretty again with some of my favorite white dishes. I suppose with Valentine's Day approaching, it would be fun to have a heart garland hung here in the kitchen, but I haven't been able to take down our little mitten garland we made around Christmas time. My mom put together this project for all of us one evening and we had a great time. Both my girls and I worked on making the mittens, even Rosetta did a little stitching! Jillian (who turns 7 in April) is getting quite good at embroidery! In other house news, the (very thick) beadboard walls and ceiling are up in the bathroom and now I'll be busy painting the room! We also have a new front door sitting in our living room to be installed this weekend (and painted) - more on that soon! Hope you have a great week and a happy Valentine's Day!